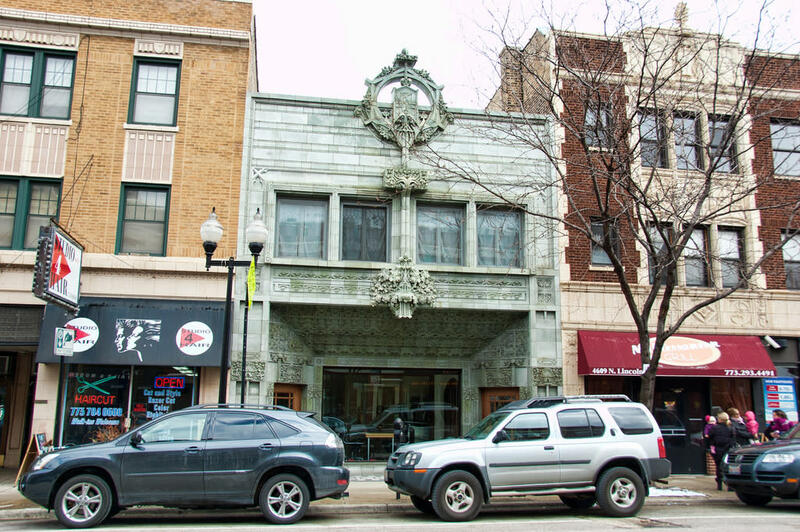 Built in 1922 by William Presto to house a music store, Presto asked a former employer, Louis Sullivan, to design the façade. Sullivan designed the façade while working out of an office of the American Terra Cotta Company. The store front is not to be missed since it features his characteristic foliate ornamentation.